This entry was posted in World, near and far and tagged clutter, order of space and mind, organize email. Bookmark the permalink. Sounds like a good plan Linda. OMG, Silvia! I was whining about the clutter I sometimes receive, but I receive NOTHING compared to you. Most of my clutter comes from Facebook. I learned that I have a mind-boggling number of distant relatives out in the world that I knew nothing about, so I have been connecting with them. What an education! Some people are addicted to quotes and send me numerous quotes. I finally had to stop following them. As I learn the importance of what people forward determines whether I continue to follow them. However, Facebook too decided that I receive too many Facebook notices, so Facebook stopped forwarding most of my notices. Now, I’m gradually receiving more posts. When I am totally overwhelmed I simply start hitting “delete.” Good Luck with your disposing of clutter!! What Gwynn said! I thought mine were bad, but I have unsubscribed from a lot of emails. 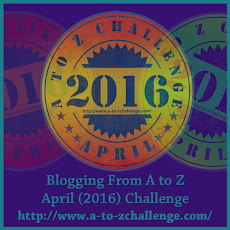 With the A to Z Challenge, I began following more blogs, but most of the posts are set to hit my inbox on Saturday morning, when I don’t mind reading them. Otherwise, I check my emails each morning and simply delete, or read and delete, or read, reply, and delete! It boils down to a good plan and discipline. I hear you, Martha. More of a figurative one, but yes. Thanks for stopping by. Along the line of “misery loves company” let me first say how relieved I am to hear that you too were suffering from brain drain. I’ve been getting annoyed with myself because it’s taking me forever to write anything. I honestly hadn’t clued in that it had to do with April’s intense schedule, so thank you for pointing that out and the reassurance of knowing that I am in good company. As for the emails, smokes! That’s a crazy number of emails. The way I handle it is by having 3 different email addresses. Actually, I have 4 but I never ever use my gmail account. I don’t like the layout of it and I don’t like the tabs. I use Mozilla Thunderbird as my manager and have all of my email accounts there. I have my karen@profoundjourney.com account which is exclusively for blogs. That’s where I get notifications of comments on my site, and where I subscribe to other people’s blogs. It’s the most mentally demanding of my email accounts because it requires reading, thinking, commenting, replying. If I’m going to reply to a blog post, I try to do it right away as soon as I read the post. If I don’t, I find that I never get around to responding. I’m following so many more bloggers than I ever have before, so I’m learning to give myself permission to not comment on every single post from every blogger. I figure as long as I’m there about 80% of the time, that’s good enough for me. A second email address is for ‘stuff’. Anything I purchase gets that email address. The statistics website that sends me daily info that sometimes turns into posts – that lands there. So does my word of the day subscription, and promotions from the online course providers I access. That one’s easy to clean out pretty quickly. If I am repeatedly deleting messages from someone without opening them, I take that as my sign to unsubscribe from that company or individual. A third email address is for personal. That’s where I set up tomorrow’s breakfast with a friend, and it’s where the guy who is going to be shingling my roof tells me when he’s available. So sometimes it’s business-based stuff but immediate and one-off. Finally, I best manage to avoid a kazillion emails now by not using social media. I have Facebook, Twitter and LinkedIn accounts that I don’t bother with. I’m not ready to delete them yet, but I’ve turned off notifications. The only social media I’m trying to be active with is Pinterest and I’m getting annoyed with all of their emails so I may be letting that one go soon too. Good luck with making your plan and sticking to it, Silvia. If you don’t mind one word of caution, in posts I’ve read about organizing email, moving emails into folders is often considered the kiss of death. The emails are out of sight, out of mind so the folders just get full and create a mental weight. I hope you’ll let us know how your organizing goes, Silvia. Thank you for sharing this in such fine detail, Karen. This is definitely getting saved in one of my folders. 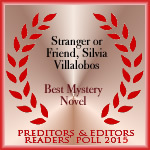 My social media is mostly Facebook because of writer friends I’ve come to know over the years. I have Twitter but hate it. The amount of pettiness on there, of brain cell damage, is too much. I go in once in a great while mostly to clean up and re-tweet a few people I appreciate. As for brain drain, it’s awful, isn’t it? Like Linda said above, we need time to ourselves to hear ourselves think, and any type of daily activity drains energy and demands time. But, hey, we’re back and better than ever! :) If not for the daily blogging I would’ve missed meeting so many wonderful bloggers like you. Yikes! That would overwhelm me. Folders are a help. Deleting whatever I can is better. Thanks Mary. I let it get out of hand and learned a valuable lesson. I only wish I could be as organized as Karen. I do have multiple emails but that doesn’t mean I differentiate a darn thing! I do a lot of unsubscribing. I do have periods where I’m out of touch for a few days and return to several thousand emails. I order by Subject rather than date so I can whiz through responses without constantly changing hats. I saw you at my blog–looks like you’re working through things! I have unsubscribed to so much in the past few years. But I notice I have to devote a little bit of time to this each week as places that I have not visited or have previously unsubscribed have sent emails again. Ugh. So I have to keep on top of it all. I also have different email accounts for different purposes. Good luck, Silvia! I think I might have shut down my computer, Sylvia! When I am on vacation, I can’t answer emails so when I return I just scan for the most important ones and delete the rest. And each day I have to cull as well. I try to make a comment on each blogger friends posts once a week, to let them know I’m reading even though I’m overwhelmed!